The heat embraces me. I feel the sun burning on my skin and a small sweat drop sneaks away between my shoulder blades. The smell of fresh herbs, oils and food are seducing me to keep on walking towards the centre of the square. I stop, look around, and try to take it all in. Millions of colours, voices and people are surrounding me and stealing my attention. I’m standing in the heart of Marrakech, the structured chaos of Djemaa el Fna. I know, not the most original advice, but there’s no way you can miss out on this. The most famous souk of Marrakech is Djemaa el Fna and for a good reason, it’s huge! I got lost a million times even though I was only there for a few days. Not that it’s a bad thing. I found a really nice bag made of an old carpet and got some delicious Moroccan food while finding my way out.Djemaa el Fna is the biggest Souk but also the most touristic. For a more traditional experience I would recommend Marché el Mellah. But be warned if you’re an animal lover, you’re going to see a lot of animals (especially chickens)., and unfortunately, they’re not there for the cosiness. Tip » Whilst Marrakech isn’t as conservative as many Arab countries, it is still a Muslim country and you should respect the culture. Leave your mini skirt and tank tops at home or just wear it in the Riad/hotel. Keep it cool on the streets in floaty clothing, it saves you a lot of sunscreen as well. 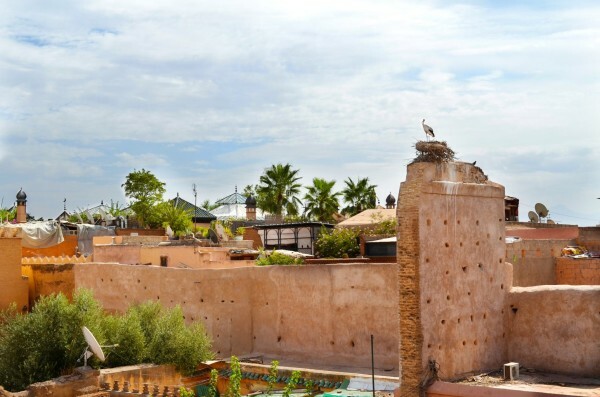 There is not much left of El Badi Palace but the peace and space it gives you is unique in the centre of Marrakech. The palace took twenty-five year to build and was an excessive display of the best craftsmanship of the Saadian period. You can still see some of the expensive materials they used. Next to the beauty of the ruins, it’s a good place to catch your breath in the middle of the overly crowded city. 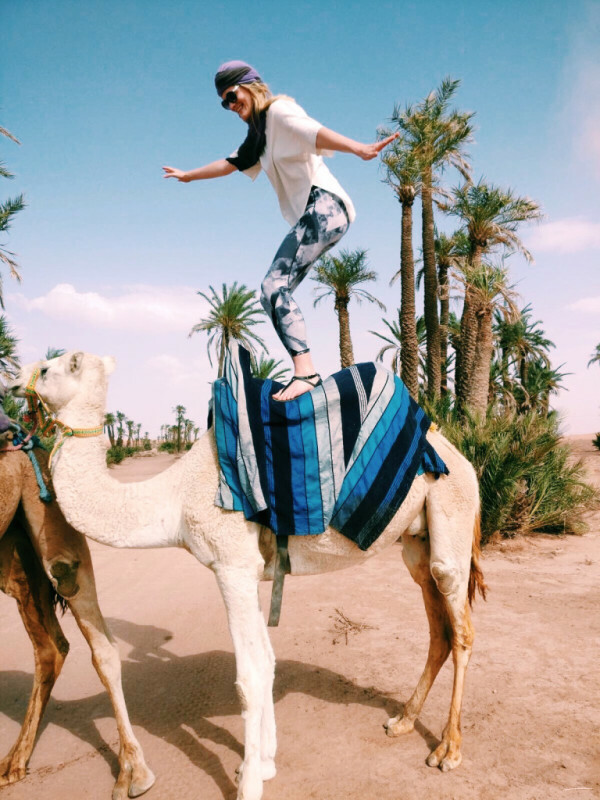 Tip » Don’t have enough time to travel to the Sahara? Dry your tears because I got a solution. 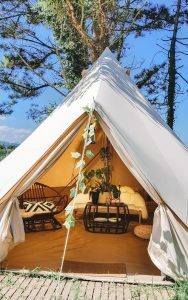 Within a 20-minute car ride and with a spark of imagination it will feel like you’re in the Sahara while being just outside the city centre of Marrakech. Oke, you’re going to need a lot of imagination and a camel as well. But, when it’s all there you will feel like a true nomad. 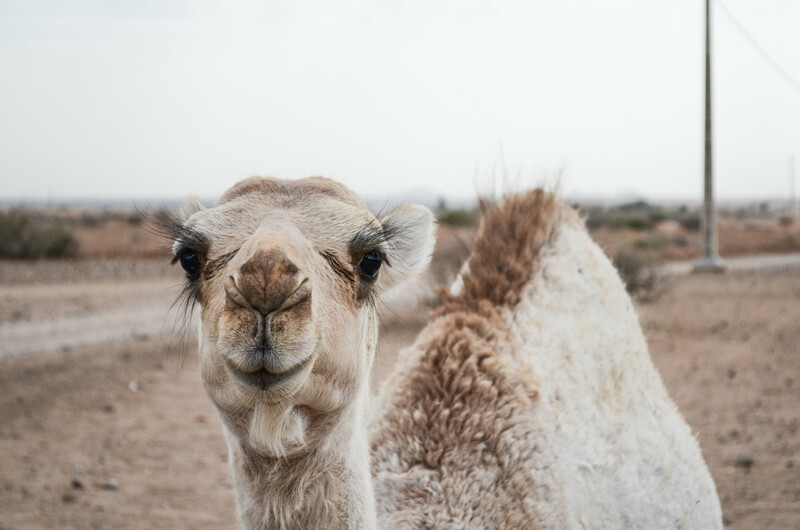 Note: a camel ride is a lot of fun and great holiday activity but please be aware that you book your trip at certified tour operations. We don’t want the camels to suffer for someone else’s enjoyment. Looking for that perfect Instagram spot? Bahia Palace is it. Looking for that perfect Instagram spot? Think of mosaic floors, enchanting lighting and fairy-tale gardens. 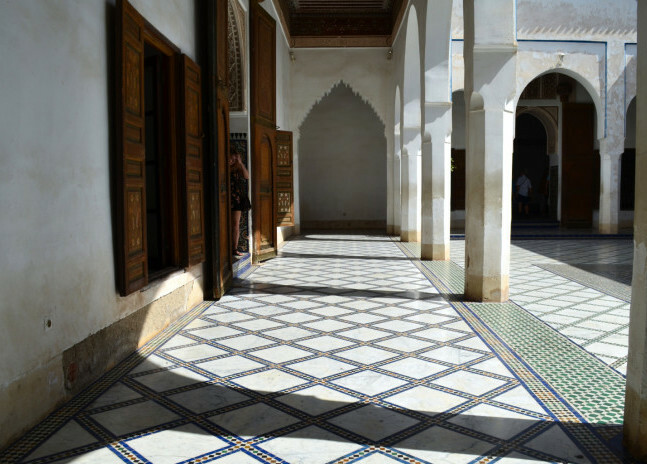 Bahia Palace is probably one of the most charming places in Marrakech. I do hope you’re more of a morning person then I am. You’ll have to get up early if you don’t want hundred of tourists taking photos of your own selfie. Tip » Getting hungry? Le Jardin in the centre of Marrakech is your solution. They serve amazing food, it’s stunningly decorated and, the best part, there are tiny tortoises just walking around. Too cute to be true. If you’re looking for some fresh (sea) air, Essaouira is one of the nearby beaches. It only takes 3 hours by bus, which will cost you about 8 euros. Don’t expect a luxurious, seaside resort. They call it the hippy city of Morocco and that reflects in the low-key way of living in this city. Surfing all day and listening to live reggae music all night is the normal routine. Tip » You can make some great horse riding trips in Essaouria if you rather wouldn’t jump in the sea. 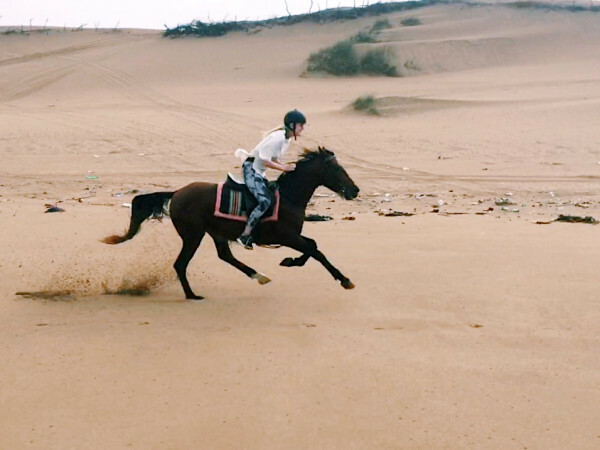 Enjoy the sea, dunes and weather while getting your adrenaline pumped up by the speed of the horse. Book your trip at Equi Evasion, they treat the horses very well. Howdy ho, cowboy! 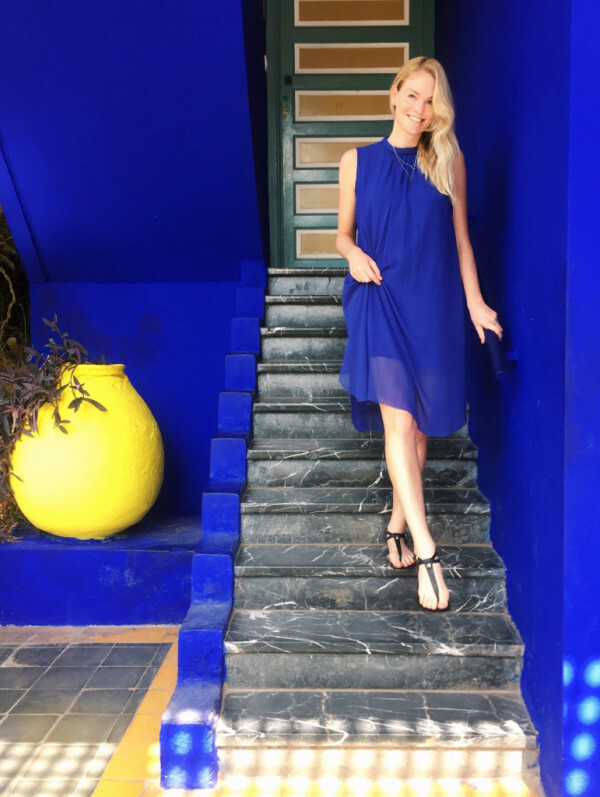 Marrakech was everything I imagined and nothing like it at the same time. Start your trip open minded. Savour the smell of spices, follow the colours and dive into little alleys and see where it takes you. 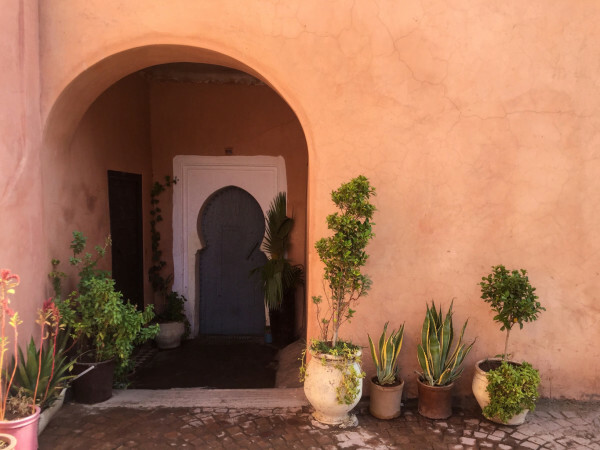 A lot of Marrakech’s true beauty is hidden behind walls and crowded streets. And before you go… don’t forget to practice your bargain skills! Prices are more then doubled and shop owners are ready for a tough negotiation. *Eva is one of our guest bloggers from Amsterdam. She’s a city girl who only leaves her heals at home when wearing a backpack. Living by the urge to be where she’s not, to explore, experience, fall and get up. You can follow her on Instagram.